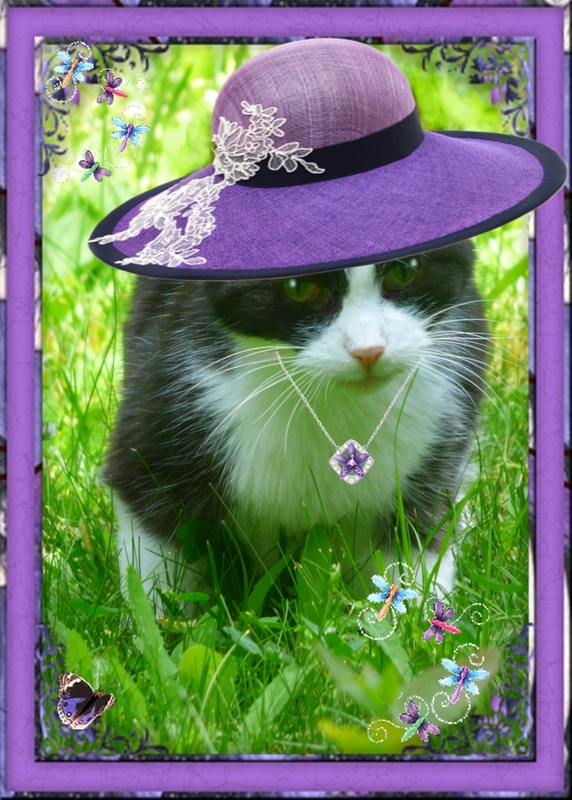 This week, the 3-Ds have each chosen to wear hats in different shades of PURRple. 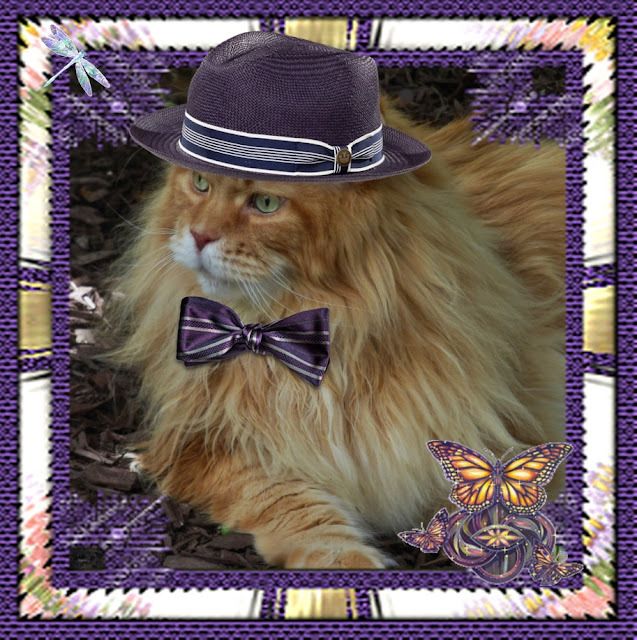 Dylan is anything but humdrum in PURRple straw fedora with striped band and bowtie in coordinating tones. His humdinger of an outfit has set all the birds a-hummin'. So there's nothing else for Dylan to do but join in, too. That should keep the humbugs away!!! Domino is pretty in PURRple, and in this, she is outstanding in her field! She has chosen a wide-brimmed woven straw hat with black banding and deliCAT white floral accent. Her necklace is made of white gold with an amethyst flower mid-center. The butterflies are attracted to her because they think she is actually a flower. And, being the flower child that she is, Domino radiates such peace, love and harmony. 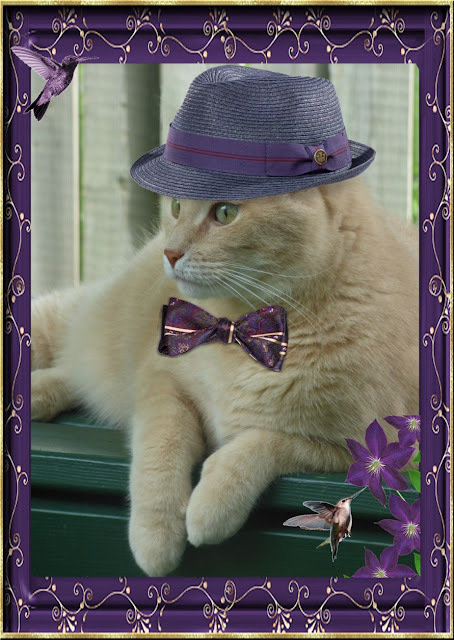 Dante is sporting a straw fedora in a darker shade of PURRple. His striped bowtie coordinates nicely with the striped band on his hat. All around him butterflies and dragonflies are dashing all about, but none is as dashing as Dante himself! It must be due to his handsome haPURRdashery. THE 3-Ds IN HATS WITH A DIFFURENCE! 3-D CATS IN THEIR SUNDAY STRAW HATS!